Dichroics are ideal for permanent installations in both interior and exterior architectural applications, including accent lighting and color temperature alterations. This Rainforest Green dichroic was a High End color. The dichroics will come in quarter planets, 1.75mm thick like you see in the picture. Dichroic filters project dramatic lighting effects in rich saturated colors. Designed to fit the growing trend in color lighting, dichroics are the best solution for achieving high transmission and reflection, consistent color uniformity and precision color definition. 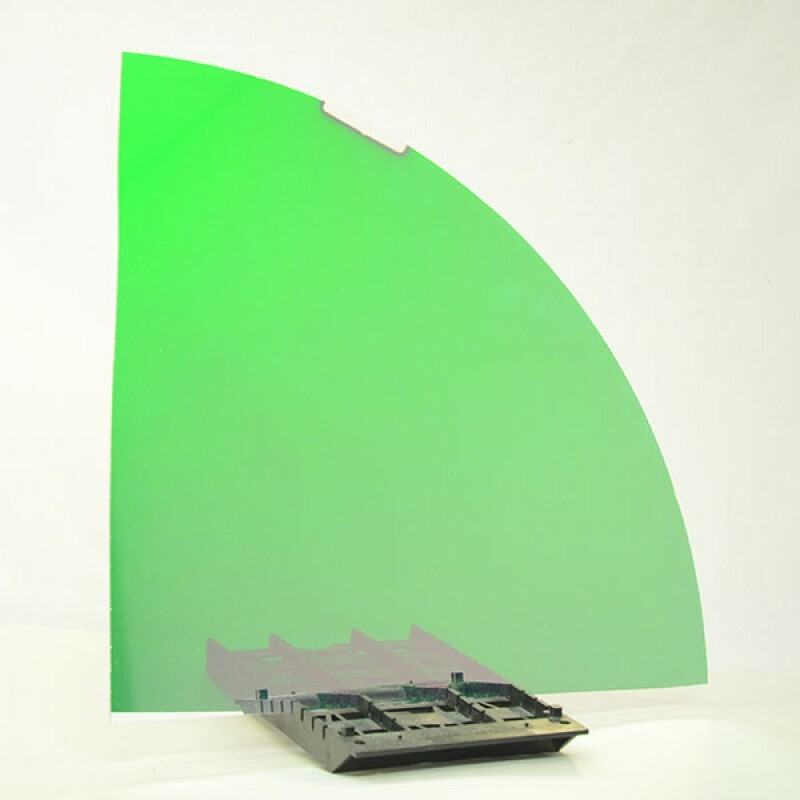 With minimum heat absorption, dichroic filters are designed not to crack or distort from exposure to high power light sources. Performance does not deteriorate with use.